The place for submitting questions or requests. Don’t request the same thing more than once. Each request should be its own comment, not a reply to someone else’s. Only reply to a request if you wish to discus, support, or clarify it. If your request gets caught in the spam filter, it’s okay to try again. I will be reading each of these, even if I don’t respond to every one. There are no guarantees your request will be fulfilled. 1. The plot for Mega Man III I’ve read in MM25 seems completely different to that on most wikis (less oil rig takeovers, more supercomputers going nuts basically). Just how different is the Japanese plot to the Western one? 2. Do the Wily Machines in III and Wily Wars and IV’s final boss (after the Wily Robo Iron Golem) have official Japanese names? I’ve heard the latter be called a Wily Capsule, but it seems “Wily UFO” is a more likely name (Capsules are usually separate things). 3. I’ve read that Sunstar’s dialogue in the Japanese version of V is different (and that he willingly blows himself up with a bomb and doesn’t suffer a critical reactor failure). Is this true? Also by looking on the JP wiki page and using Google Translate, apparently the Skull Blazer has an ion battery, L./R. Knuckle were developed to make the Wily Star fight and apparently the Brain Crusher controls the entire Star? Not good with Japanese at all, so I’d like clarification. Once again, apologies for question overload. I support TGCF in that, I wanna see the artwork of the items in this manuals. My apologies in advance. I posted this question in response to an earlier blog, but I wanted to post it again at the appropriate place. Retromags is probably my go-to. The Internet Archive has some good stuff sometimes as well. If you are near New York, I hear the Play Museum has one of the largest print video game magazine libraries in the world. Sorry I was not much help. I hope your thesis went well! Would love to read it when complete. Hi! Love the site. I’m wondering if, in your reading of Japanese materials, you’ve found any clues to one of the enduring mysteries of Mega Man: Agile’s second form. His name is Agile Flyer, and yes is a pilot-type mecha similar to Serges Tank. So… is he a “deformed flight type form attached to the center of the room with no vestiges of his original shape”? I never know about that description. I only mention the reference in Kodansha source books, where Agile Flyer is only mentioned like a flying-mecha. Maybe I understand the word ‘mecha’ too literal. In the complete works game, Quick Man is also labeled as ‘mecha’, as well. Actually, that description in Compendium X is interesting and put clear things in the table. Thanks, buddy, I learn a new thing about Agile. I have a few asks. 1) Just today I found out that Roll actually, canonically has a crush on Megaman. I looked up some conversations on it and came up with some questions about it. A lot of people justify it by saying Roll isn’t really Megaman’s sister, but more like an adopted sister and that they were made to be companions and not really a family. In the US stuff (Archie, Ruby Spears, Dreamwave) Roll is treated like an actual sibling with that same sort of relationship, but now I wonder if that translates to the Japanese side of things. The theme of family seems to be very strong in Classic MM, but I now wonder exactly how that’s treated in the Japanese side of things. Is the whole Light family dynamic not a thing in their manga? Or are the Japanese just way more comfortable with brother/sister pairings than western audiences? 2) Another Japanese side oddity that I seem to recall is that Rock never finds out Blues is his brother in Japan. Ever. I seem to remember a long forum post about this from years ago with one proof that he never found out being the website for Neo Geo’s Power Battles / Fighters and comparisons that show RM never refers to Blues as his brother. Is there any other proofs out there? How is this relationship treated in the manga (or other story-related places)? 3) This one is on Robot identity and uniqueness. I wonder if there’s anything specifically related to the treatment of Robot Masters as individual characters or mass production items. In Megaman 1 we see many Gutsmen and in Megaman V we see many copies of the Rockman Killers. To me this implies that the big plot in those games was that Wily would eventually use these copies to attack the entire world all at once. Which also implies that robot masters are not necessarily individual robots with unique personalities, but mass production items like Joes. So I was wondering if there was anything at all anywhere regarding this. On the one hand it would make sense that a line of robots not be limited to just one entry. And there’s not really a need to preserve a robot’s memories if you just want to duplicate them (which happens in every single game). On the other hand it seems to go against the entire point of making character profiles and more recent games (Powered Up) and fiction (Archie and Ariga) go to pains to show the robots’ memories are preserved implying that there is and only can be one Cutman (for example). In contrast to MM1, MM8 implies that the Woodman MM meets is the same as Woodman from MM2. For point 1, I wanna use Ikehara mangas as source. In this, Roll and Rock relationship is “brother”/”sister”, so no pairing. Although, in this manga, Kalinka has a crush with Proto Man. Meanwhile, in the Izuki mangas (RM8 & RM&F), Roll is actually in love with Rock, she even give him a valentine chocolate. In the games, I don’t see anything about the shipping, only in Powered Up. About point 2, I DON’T KNOW, many times Mega Man calls Cut Man and the others as “my brothers….”, but he don’t use that with Proto, he even call him by his name. Maybe he don’t know that Proto is a Light Number, but that can’t be possible, because in the Rockman 5 japanese manual, he ask to Dr. Right about Blues’ origin. 1) I don’t care for the ship but I think it’s ok because they’re robots, i.e. not biologically related. Or else that brings the question of why it’s ok for the other robots to have a crush on Roll, or people to ship Roll and other DRNs….Japan have pairings of childhood friends who grew up like siblings and eventually become lovers, maybe it’s treated like that? In official japanese bios, Protoman/Roll is usually described as 兄/妹のような or 兄/妹にあたる lit. “as if/similar to/like a brother/sister”. にあたる can mean “is [something]”, but there’s a more direct and easier word for it so I’m assuming they used this version that for a reason. Also this is just me but Rock and some other DLNs call Roll ロールちゃん (Roll-chan) while everyone else is w/o suffix. While siblings do call each other “onii-chan/onee-chan”, it is unusual to call each other “[name]-chan” unless they’re very very young. Especially when it’s one-sided, it’s often used between those not related or close enough (relatives, friends, or strangers) usually the older to the younger. I think they understand they are what humans refer to as “siblings”, but that’s it. They don’t see each other as how people see their siblings or families. I mean, they don’t really have the mind, will or right as an actual human anyway. Totally unrelated, but the “Classic is family-themed” reminded me: the english version of Megaman Gigamix translated many of the Stardroids’ lines differently, making them more nicer and adding a family-theme by replacing “them/others/crew” to “my brothers” which I personally think misrepresented and ruined their character. 2) Most Japanese profile for Protoman say “Rock doesn’t know he has an older brother ” at the end. If you think that’s weird, remember this is the game where Light and Rock get’s tricked by Wily a million times including him poorly disguised in 6. In the Japanese game he is portrayed as a mysterious lone wolf that does what he wants, and not much is shown of what he thinks or feels. Even the staff said something like “we were intending him to be a rival, but we don’t know what he is anymore (so we made Bass)” in the artbook. He follows the “friend or foe? No one knows!” phrase well. I also think he is supposed to be “cool” and mature, though that varies in media. He seem to not care about Light, and doesn’t have a grudge or ill obsession over Rock. I think he’s like a mentor, though the JP fanbase often joke on him as Megaman’s stalker, overprotective brother, or a walking dictionary appearing whenever Megaman needs help. I see many Jp fan look at Archie surprised to see a more “emotional” “violent” and “humane/childish” version of him. Ariga’s version emphasize the mentor part, willing to do cruel things if that’s what’s needed to do what he wants; which is mostly challenging the individual’s will to reach their goal. Example, he test Megaman’s will to to fight for peace by forcing him to watch the consequence of not willing to fight via an angered Bass destroy an entire city, and refuse to help because Megaman need to get used to fighting alone. 3) I don’t think the profiles are useless as they’re probably describing the original robot. If copies work like in PU, you can make copies with a full personality and such, similar or different. But I’m assuming most of the mass produced “copies”would be more downgraded and simple-minded like Joes even if they look identical, as complicated AIs are more costly and annoying. Fiction is just their interpretation of the series so they’re free to do whatever. I dunno if Archie was going to go over mass produced RMs, but when they make copies they seem to be separate individuals. In Ariga there is only one of each robot master, others being downgraded, and when created a copy they’re exact clones with the exact AI and memory of the original which became a plot point. 1) I dunno if I got the same family vibe from the Stardroids in Gigamix. Even if they say “brothers” there’s also the term “brother in arms” which would definitely be appropriate. 2) I finally found that official Power & Fighters site that tells us explicitly that RM doesn’t know PM is his brother. Or at least that’s what it seems to say. Withholding vital points of information is a very anime-esque trope, but in many cases it seems pointless. I can kind of understand Protoman not talking to MM about it all, but I don’t understand Light’s point of view. It seems to be one of those things they decided to have in there to make things interesting without a real reason behind it story-wise. 3) I would have loved to see Archie’s take on the notion of mass production. Powered Up deals with copies, but those are copies of another doctor’s work. PU just proves that even flat-out knockoffs can be 100% functional with no deterioration. I don’t think those profiles are useless, but they imply individual characters. For example: the described relationship between Snakeman and Toadman don’t imply that there are sets of either. None of them imply that there’s any more than just one rbot master. 1) For the Gigamix, I didn’t like how they softened their words. Hard to explain, I got a different feel when reading the Japanese one and English one. In the Japanese they did not suggest any bond or unity, not caring for one another, only working with each other as having the same goal. Calling them “brother”, in either way, makes them more closer than they’re supposed to be. 2) Oh, that’s great you found one. Capcom deleted most of Megaman’s website so it’s hard to search for official sources. In an interview with the “real” creator of Megaman, Akira Kitamura, he says: “As you would think, Dr. Wily’s central motivation turns out to be his relationship with Dr Light. […] Mega Man is the embodiment of justice. His heart is so good, it’s almost not human. But Dr. Light isn’t like that; he is human. And his big failure was Protoman. […]Protoman is the proof that Dr. Light is just a human.” Thinking about it, Dr. Light is this dreamy but optimistic guy believing in robot coexistence with humans. He is shown as this genius who does prove robots can be useful and advanced enough to help humans. But his first creation had an independent mind of it’s own, disobeys the human and runs away prioritizing it’s existence/life, something no other robot would do. This should be a failure to him, an obstacle challenging his dream. He later builds Rock and Roll together as a pair with a more simple, child-like personality, maybe so they won’t be as independent and unpredictably free. I don’t think he’s the type to willingly reveal what is an embarrassing fail for him, a questionable event for the robots (which may give them the idea of abandoning their role too), and a disturbing event to humans. It also can be that telling everyone would further distance Protoman away from him. I don’t know, it’s an interesting point that can bring many interpretation. Still strange that he doesn’t know the truth… Why Light doesn’t want to tell him? Is he afraid of Rock running away like Blues? Also, for multiple bodies there are also Mega Man/Copy Robot, Zero/Omega and X/Copy X. I think there can be more than one body, but even if their memories and programming are copied and modified, their personality and experience can’t, which is what makes them unique. Nice to know one manga, at least, specifically says Rock doesn’t know Proto is his bro. I don’t think he knows in Ariga either, but it’s been a while since I read that. The X series is outside the scope of my question. They’re a different sort of robot. I think you may be self-refuting. If you take the 1-up literally as a “spare body” then you’re saying that their personality and experience do get transferred to this new body. I know there’s a 1-up in one manga I have, but I can’t tell if it’s ever used or what it’s about. Mmmmm, I think you’re also misinterpreting my question regarding multiples. Obviously, there can be multiples, but the question is … are there? Copy Robot is a guy made, specifically, to be a copy, so that’s a unique case. Is there 20 Gutsmen running around all over the world and only one was reprogrammed? And, if not, why not? Regarding the games I cited two examples, but PU specifically removed the army of Gutsmen. So maybe something changed along the way. No idea if there is an official answer, but it always made me curious. There are mass produced robots like Sniper Joes, but boss characters are probably unique due to being advanced “job productions” or handcraft from their creators. Light and Wily made most of the bosses themselves, as noted in Light’s diary from the recent collection ( kobun20.interordi.com/2015/11/20/weird-science/ ) and many of their bios, so there may be no copies of them due to their unique production process or how advanced they are for other people to recreate (specially X, which Cain did attempt to reproduce, leading to the creation of Reploids). If there can be mass-produced Reploids (which AI is presumably higher than Robot Masters), why not mass-produced Robot Masters? I would not doubt that if there was demand, people would probably mass-produce them, but the bosses are out due to the reasons mentioned. In fact, MM9 suggests that at the time of the original series there is an excess of robots, leading to them having expiration dates to avoid it. I wonder how a Robot Master would feel seeing a copy of him. Proto Man hates Sniper Joes (and Copy Robot in MMPU), but in the future, most Reploids don’t appear to care… But them again, would a twin be troubled with his siblings? They may think along the lines of “being siblings from the same production line”? They are supposed to be this. Massproducing them would kinda kill the point. While Wily may make copies, like coping Mega Man twice (MM1 and MM3, and Bass could count as one “improved copy”) and planning to create “King II” (MM&B ending), I don’t think Light would want that for them, specially after his experience with Proto Man. Well, that’s just Dr. Light, though isn’t it? There’s also Wily, Cossack, and any other random inventor you want to add to the mix. As a side note MM9 adds a certain cynicism to Light’s goals. Robots embody all his ideals … until they expire on some random date. Hm. MMV’s RMKs are odd. I mean in what way are they copies? I guess Wily would have to reverse engineer Quint, but the rest are his own design. Can you “copy” a robot if you’re it’s original creator and, presumably, have their plans to work with? Of course the real answer to this is that “it’s a game and Punk and Ballade needed to be re-balanced”. But I don’t think the MMV army should be considered copy robots. I suppose I can consider the Gutsmen in MM1 KOs, but there’s no reason to think Wily had to KO his own work. I think the idea that they’re custom built makes the most sense. It explains why Wily would need to steal them as opposed to just being able to make his own. Of course I don’t think it makes TOTAL sense. I mean, why would you be fine with making tons of Sniper Joes but NOT fine with making tons of Gutsmen? I guess I just have to chalk that up to a quirk of the world. But then I have to loop back to the absurdity of Wily KOing his own work on most of the boss refights. Oh, well. I guess its just game logic. For MMV Killers, it is worth noting that Proto Man destroyed Wily’s plans for King II, which Wily probably used a lot of time thinking on how to create and would be difficult to recreate without the design plans. Wily isn’t a computer to have all the details of all his creations memorized, so there is no way to redo a King without those. 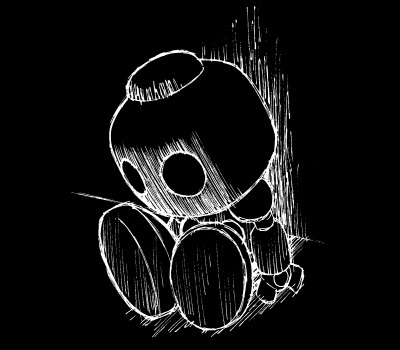 Without the original to analyze, the only option left would be restart from nothing, leading to a King that is different from the one he did before or a new robot that is inferior or superior (like Zero). It is not unlikely that he either lost or forgot some details about the creation of the Killers (or just hasted their recreation if he hadn’t), resulting in the loss of quality the originals had. He may also have replaced some high quality parts by cheaper ones to reduce the cost. Also, forgot to mention that Mega Man got stronger. He could not even scratch Terra in the beginning, and is defeat with a single hit, but later has a rematch and is able to take and give damage. Even if the MMV Killers and Quint are the originals and slightly improved, he already fought them before, so not only he knows what they are able to do and their weaknesses, he also got improvements and is able to take them down with less difficulty than the first time he faced them. Here’s another thing I’ve been wondering. What was the original purpose of the Repliforce in Rockman X4? In the 25th anniversary book, instead of being created by Cain, it was established by many Reploids. So what’s the full original backstory? @Quint Shadow – Wily losing designs kinda goes against the smell test. I mean on paper it COULD happen, but then you’d have to figure that Wily just made all new designs for old robots when he could easily have made (or stolen) new robots. I … guess Megaman’s upgrades could have made him stronger. I mean, that’s very likely. More likely than Wily losing plans. *Sigma is Cain’s 1st creation AND the 1st Reploid created. *Sigma is the 1st Reploid created by Cain himself, but not the 1st Reploid created. *Sigma is the 1st Reploid Cain created based directly on all the knowledge he gathered from X and the Reploids in order to make the most advanced Reploid. That’s sexist! GIRL POWER! GIRL GAMERS UNITE! That’s sexist! GIRL POWER! GIRL GAMERS UNITE! WHO’S WITH ME! For years I have searched for verification, and I have found no evidence for whatsoever to support this. I strongly believe that this is purely a rumor that has been speculated upon and copy pasted over and over from wiki to wiki. Any word on what’s up with Ultron-Sigma and the new MvC? PS: am I the only one who thinks the new MvC looks pretty cool? Hi admin, do you monetize your interordi.com ? Is Spycopter (Mega Man X3 and Xtreme 2) based on a spider? Most sites I saw says it is, but I don’t think it looks much like one, and the few books I have don’t mention it. Is there a mention of what it is based on in any book? Hi! Can I request some rare art? 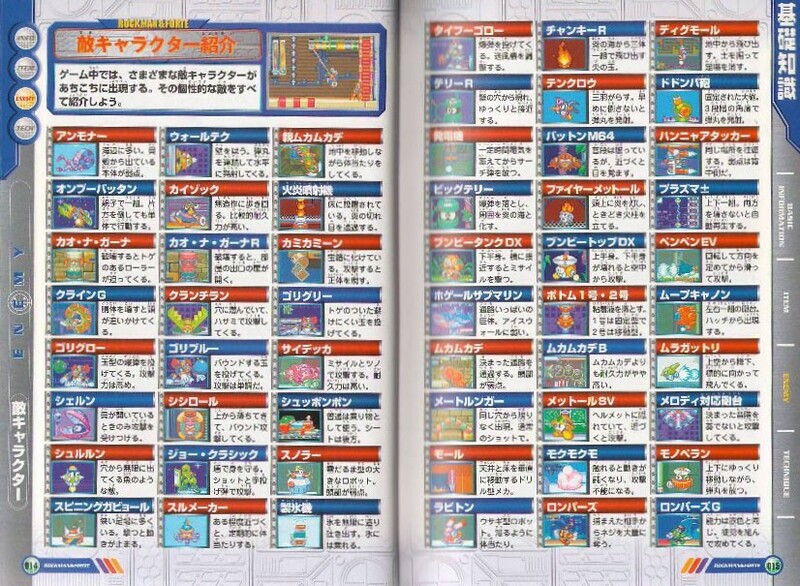 I’d like scans of the Mega Man X3 weapons and the Wily Tower fortress bosses (alongside their info), which I heard can be found in the “Rockman X Chohyakka” and “Rockman 7 & Rockman X3 Daizukan”. Excluding Soccer and Battle & Chase (where all characters are playable), I haven’t seen any attack name for any game from those series in any source I know, only for other series: MMX (specially in Compendium of Rockman X), Zero, ZX, BN and SF (guidebooks, anime, …). Some are even given in-game, like X1 and ZXA. The Rockman & Forte guide for example gives detailed explanations about boss attacks, but they don’t appear to be named. 1. Where were the old armors of X? Did X sent them back to the capsule or somewhere or the armors just broke after the battles? 2. What is the meaning of the other capsule which is broken, before entering the boss rush room in X2? 3. Did the story of Mega Mission series happen in the timeline without conflicts? 4. Did X fight with Zero in X2 when taking X5~X8 stories into consideration?